Winter is still hanging around in many parts of the US and a warm hat is an essential item of clothing in many of the colder areas so today I bring you a fun selection of beanie hats! 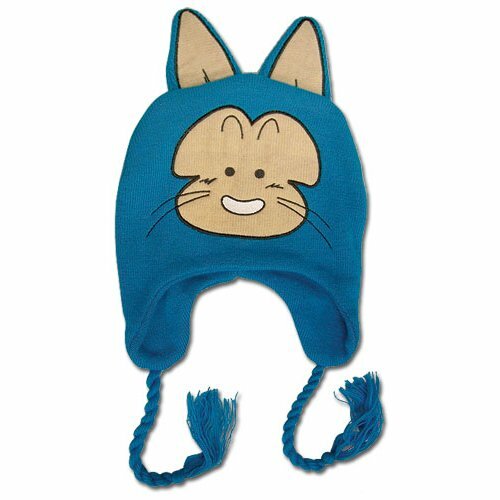 I’ve never been a fan of hats but after my Christmas in St Louis, I did actually consider buying one but Cold bought me the Spirit Hood I fell in love with when he did our Spirit Hoods post! There are loads of TV & movie themed beanie hats available but I thought these were the best of the bunch. 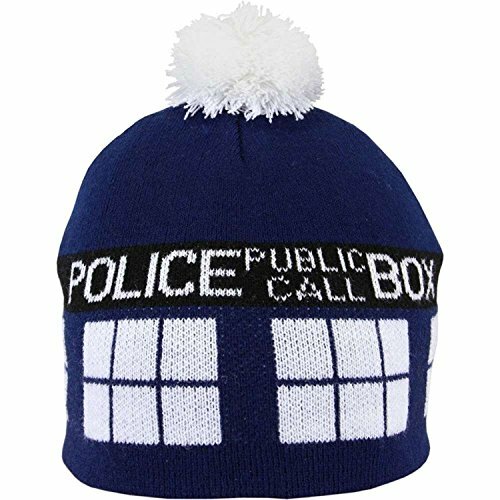 The Doctor Who Tardis beanie is sure to appeal to any Doctor Who fan – the Tardis is such an iconic symbol to all Whovians out there and as it’s just blue and white, it’s not too colorful for those of us who prefer our fashions a little less loud! 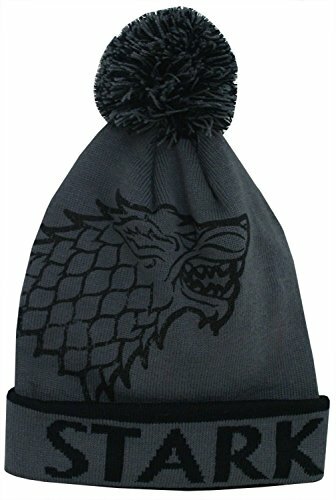 The Game of Thrones beanie fits the ‘not too loud’ bill as well with it’s gray color and simple but effective Stark logo. 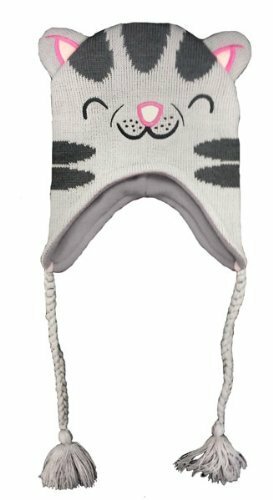 I love the Soft Kitty beanie though, it would be great fun to wear and with a pink fleece lining for additional insulation, I bet it’s lovely and warm too. Another pair of fun hats are the Dragonball Z Paul hat and the Star Wars R2D2 beanie. I think the R2D2 hat is a great design and suits being a hat very well. If you like your fashion bright and cheerful and you are a fan of Firefly then Jayne’s hat from the series is perfect. 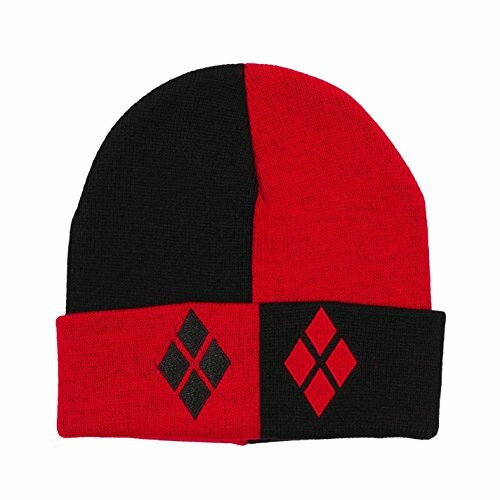 You’d definitely stand out from the crowd with this beanie on! As usual, there are absolutely loads of superhero themed beanie hats available so I had to pick just three to show you. 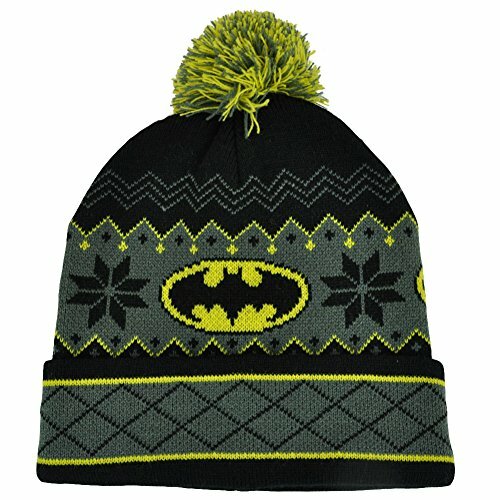 I like the Batman beanie for being a more subtle version than some of the other Batman beanies out there. If red and black is one of your favorite color combinations then you have two choices – Deadpool, the talkative anti-hero or Harley Quinn the psychotic girlfriend of the Joker. 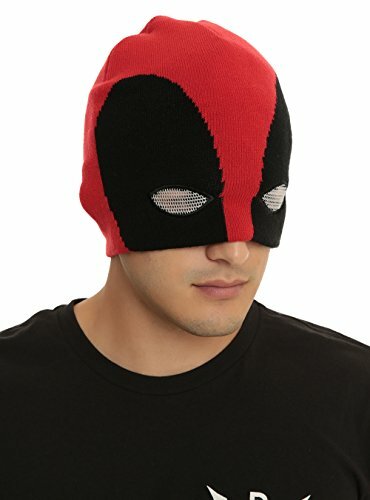 I think the Deadpool half mask is super cool and it can be worn with the edge turned up to make a more usual beanie hat. 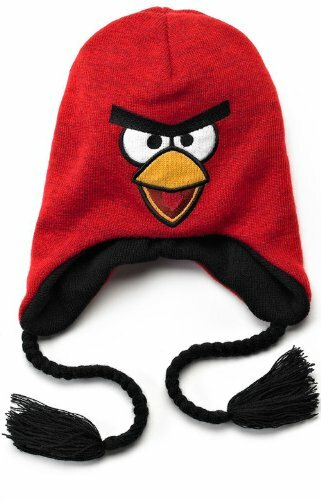 If you’re a fan of the Angry Birds game, then you are in luck with your choices for an Angry Bird beanie hat! I’ve only picked one to show you today but there are loads of Angry Bird beanies available. 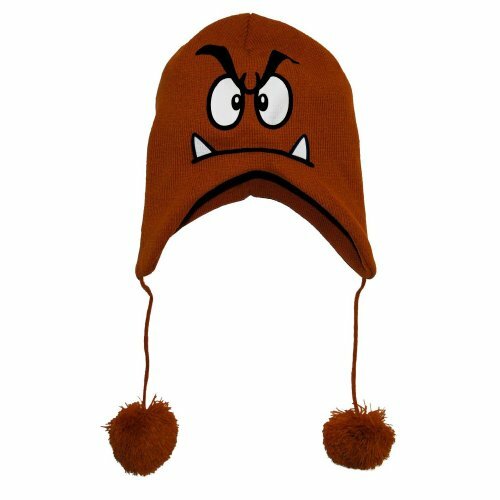 I love the Goomba beanie hat even though I’ve never played Super Mario! It’s a one size fits all but some of the reviews suggest it’s a bit on the large size so definitely not for kids. You didn’t want to share it anyway did you? 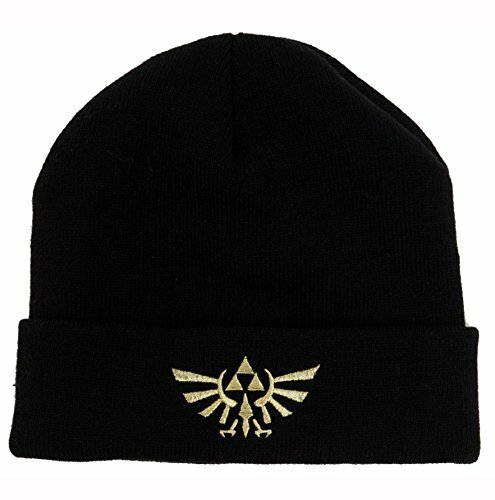 The Zelda beanie is very subtle, just a black beanie hat with an embroidered Triforce logo on the cuff so it won’t wash off. 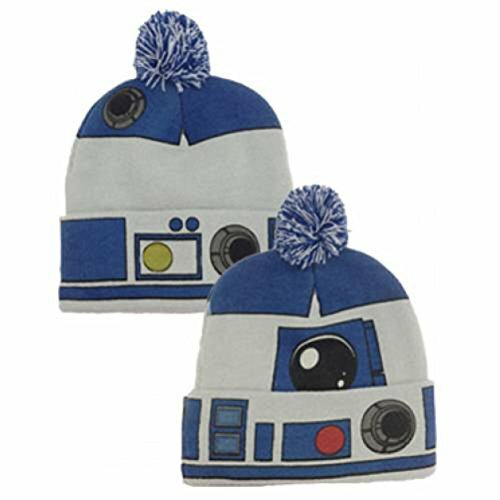 I hope you’ve enjoyed today’s selection of fun, geeky beanie hats and found one to keep you warm this winter. I’ve taught myself to crochet recently and have been looking for a cool crochet pattern to make a beanie for myself. Having seen all these great beanies though, I do wonder if it would just be easier to buy one!